Aleghcia Scott, Christian Punter, Chroma, Accu, EADYTH, I See Rivers, Los Blancos, Silent Forum and many more are amongst the artists selected for Horizons Launchpad funding. A total of 28 talented artists and bands from across Wales have been successful in their bid for a music bursary worth a combined value of £35,000. Winners include artists such as iTunes chart-hitting reggae singer-songwriter Aleighcia Scott from Cardiff, who will use the bursary to produce a music video for her debut album. Christian Punter from Rhondda has also been successful. Christian crafts songs using stories inspired by his local village and the house he lives in, The Old Post Office. The up-and-coming Wales-based artists have been awarded up to £2,000 each to help support them in shaping their careers, developing their music and supporting activities that will enable them to fulfil their potential. The Launchpad fund, part of the BBC Cymru Wales and Arts Council of Wales’ Horizons project is made possible by funds from the National Lottery. The scheme aims to develop emerging contemporary music and received over 100 applications from across Wales. Two panels made up of 20 music industry experts were tasked with selecting the most eligible applicants. Launchpad fund applications opened in September to Wales-based artists and bands writing, producing and performing original contemporary popular music. 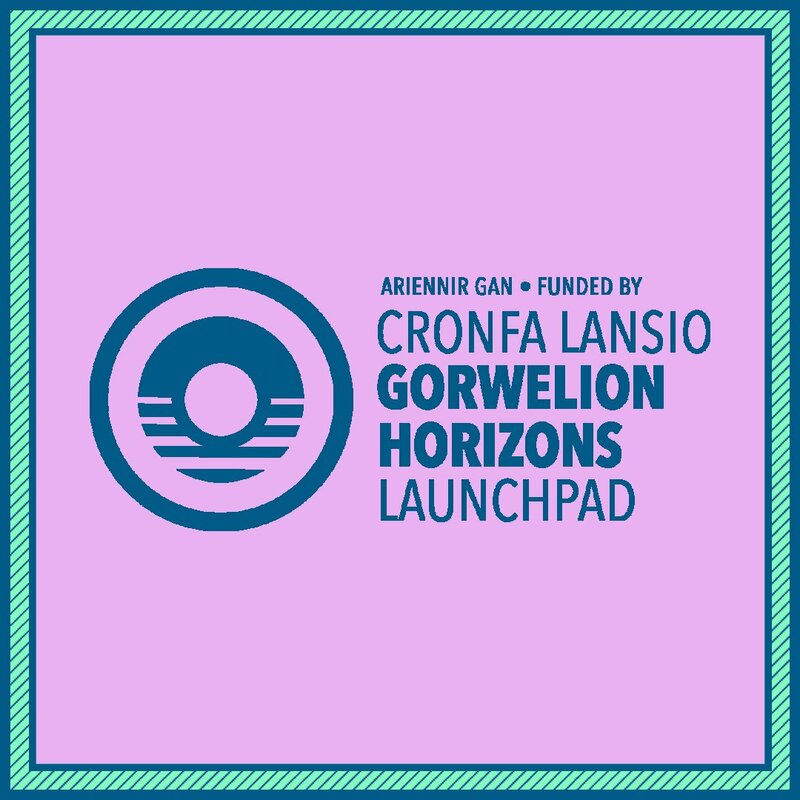 Since its inception in 2014, Horizons and the Launchpad fund has been granted to over 150 artists, from over 60 towns, across the whole of Wales. This year, the 28 successful artists applied for the funding to help support a range of ideas, from hiring rehearsal space to working with talented producers and recording professionally. From the diverse mix of applications, many will be supported in their creative work with grants towards studio time and song writing, specially commissioned photography and artwork, promotion of releases, live performance equipment, video production and touring costs. “I’m thrilled at having received the Launchpad funding! It’s a valuable help to any Welsh musician who wishes to bring their music to new audiences at home and abroad. I will use the money to film a music video and a mini documentary about my new album which is due out in May”. Horizons Project Manager Bethan Elfyn said: “We’ve seen Welsh music enjoy a particularly prolific and lucrative time in the past 12 months so it’s good to see Launchpad continue to inject much needed funds to some of the exciting new crop of artists coming through. These grants can really make a difference in injecting some money at a vital time for new artists either in recording or promoting new material. You’ll see from the list of artists how exciting the range of musical genres and creative ideas are right now in Wales, from those starting out to those taking the next step and pushing themselves a bit further”. Lisa Matthews-Jones, Arts Council Wales added: “Launchpad is always one of the most lively and difficult decision panels to be involved in. It was inspirational to see the range and diversity of music projects coming forward, from across Wales. We hope these awards will enable emerging musicians across Wales to take their plans forward. We can’t wait to experience the results”. Panel Member Joel De’ath, Sony Records added: “Wales continues to deliver creative talent, and the Launchpad fund is there at every step of the way to help develop this emerging talent, with not just cash, but advice and guidance. Essential in helping Wales continue to deliver artists who compete on a global level”. The 2018/19 Launchpad recipients will be celebrated with a week of sessions commencing today (4 February) on BBC Radio Cymru and BBC Radio Wales featuring some of the successful artists. Aleighcia Scott, Cardiff – Official music video and digital marketing for debut album. Accu, Maesycrugiau, Carmarthenshire – Electric Guitar, pedals and PR for next album. Gwilym Bowen Rhys, Bethel, Caernarfon – Recording of a new album and filming. Chembo, Wrexham – Mastering of new recordings and music video. Chrles, Beaumaris, Anglesey – Songwriting and recording. CHROMA, Mountain Ash, Rhondda Cynon Taff – Recording of first album. GRAVVES, Deeside, Flintshire – Music video and photo shoot. EADYTH, Merthyr Tydfil – Recording equipment. Darren Eedens & The Slim Pickins, Cardiff – Recording of new album. Ennio the Little Brother, Shotton, Flintshire – UK tour with Welsh band Campfire Social and recording equipment. Eve Goodman, Y Felinheli, Gwynedd – Songwriting and further vocal training. HANA2K, Sully, Vale of Glamorgan – Technology to support writing and recording demos, mixing and mastering sessions. Rebecca Hurn, Porthcawl – Recording of new material for 3rd EP, CD production and radio plugger. I SEE RIVERS, Tenby – Studio time for recording debut album. Kidsmoke, Wrexham – Mixing and mastering of debut album. Los Blancos, Carmarthenshire – Album recording and PR. Marged, Cardiff – Songwriting and producing debut album. Mellt, Aberystwyth – Instruments and quality live performance kit. Moletrap, Builth Wells – Completing debut album. No Good Boyo, Cardiff – Recording and releasing new album, photography and video. Jack Perrett, Newport – Recording of new material, music video, photography and PR. The Pitchforks, Rhondda Cynon Taff – Recording of two new singles, music video and UK tour. Christian Punter, Ferndale, Rhondda – New EP project using stories emanating from local community. Silent Forum, Cardiff – PR campaign for upcoming album. Daniel Soley, Cardiff – Website and music distribution. VOYA, Cardiff – Quality live performance kit. Bethan Elfyn, Horizons Project Manager, BBC Wales; Lisa Matthews, Portfolio Manager, Arts Council of Wales; Aeron Roberts, Arts Council of Wales; Gareth Iwan, BBC Radio Cymru, Ed Richmond, BBC Radio Wales; Dwynwen Morgan, BBC Radio Cymru; Dan Potts, BBC Radio Wales; Neal Thompson, Focus Wales, Wrexham; Joel De’ath, Sony Music; Violet Skies, Musician; Liz Hunt, Musician & Promoter; Spike Griffiths, Forte Project; Owain Schiavone, Y Selar; Leo O’Brien, PPL; Rebecca Ayres, Sound City; Ffion Wyn, Music Journalist; Christina Macdonald, Horizons, BBC Wales; Skip Curtis, Music Business Lecturer, University of South Wales; Bill Cummings, Sound & Vision PR; Simon Parton, Horizons, BBC Wales; Rachel K Collier, Musician.